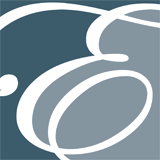 "Enterprise Accountancy Limited is a growing business. We know that when you employ staff there is a need to adopt the correct working practices. This is where Plain Talking HR stepped in. With sound advice on employment contracts and handbooks, to assistance with maternity and sickness policies, there is always a friendly voice on the other end of the phone to provide a solution or give advice. Having this assistance has given us peace of mind and reassurance that we are working within the law and adopting the best working practices for our team." "Our Accountant recommend us to Plain Talking HR when we had a personnel problem in our company. We had to dismiss an employee who then claimed unfair dismissal. Plain Talking HR dealt with our case with speed and efficiency and we were impressed with their tact, speed and effectiveness in obtaining a satisfactory outcome." "The growing business meant extra demand for staff and needing employment contracts. I was also looking for additional support and HR is not my specialist area! I chose Plain Talking HR because they are friendly, efficient, always there at the end of the phone providing a quick turnaround for contracts and advice. Plain Talking HR save me time, which I can spend looking after my own business and clients, knowing my HR is securely looked after. The key benefits of working with Plain Talking HR are that it I have peace of mind that I am complying with all HR legislation and they bring me proactive solutions to any problems. If you're considering using Plain Talking HR, then do it now!" "We are a small company, employing approximately 30 people and occasionally need HR expertise. Plain Talking HR is ideal for us, when can phone or email any time and we know we will receive instant attention and a thoughtful solution that very day. We have access to the same person at Plain Talking HR so we have built up a personal relationship over time and we do not have to keep repeating the basic background information about our business. All issues are addressed with care and a refreshing sense of humour - good to lighten the load! With Plain Talking HR we have successfully managed all problems and have avoided having to face the wrath of the Employment Tribunal!" "As my business grows it becomes increasingly difficult to keep on top of HR matters and keep up to day with changes in the law. I was looking for an HR consultancy that felt personal, that were reliable and could understand the needs of a small business in a creative industry. I needed better and more efficient HR support for myself and my staff. 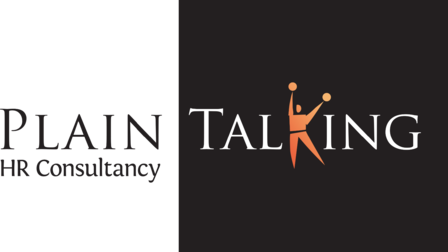 We can comfortably rely that Bina from Plain Talking HR is on the other end of the phone, allowing us to concentrate on growing other aspects of the business." Their HR package is comprehensive and has got my company out of a few situations regarding staffing issues. The monthly cost for peace of mind is well worth it. "We have been working with Bina at Plain Talking HR for over 6 years. It has been a fantastic relationship as anything in the general HR field and anything on a larger scope can be sorted out just by picking the phone up. Complex issues from employment rules and regulations to mobile phone policies in company vehicles, are dealt with quickly and efficiently. Allowing all here at Henderson Thomas Associates to get on with what we know."